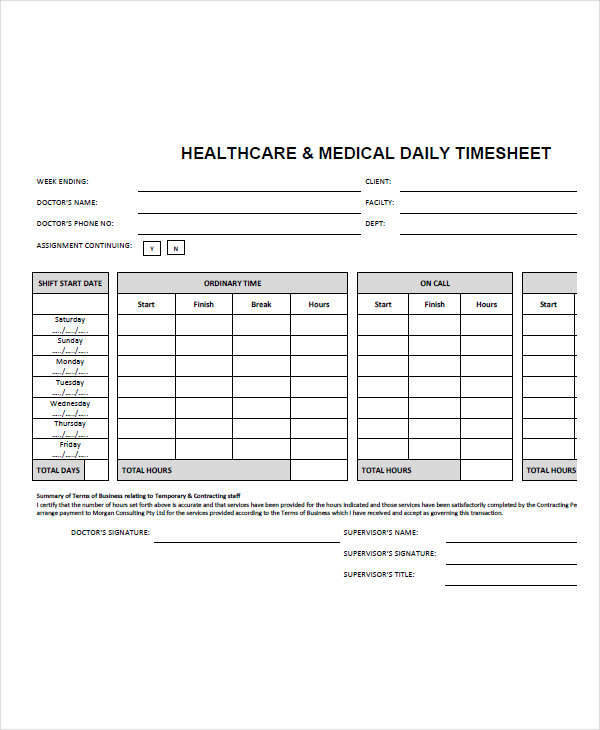 Timesheets are a useful means of managing and monitoring employee attendance during working hours. 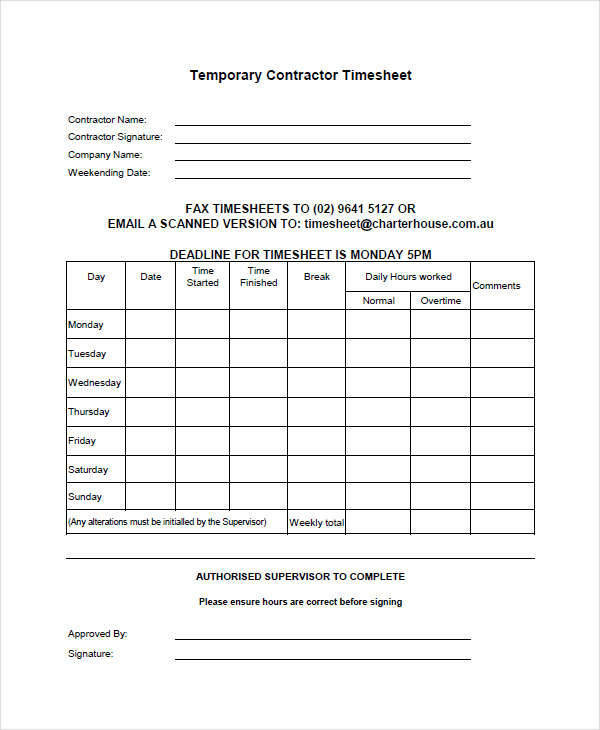 This simple form can benefit the company in terms of increasing employee attendance by making them arrive to work on time. 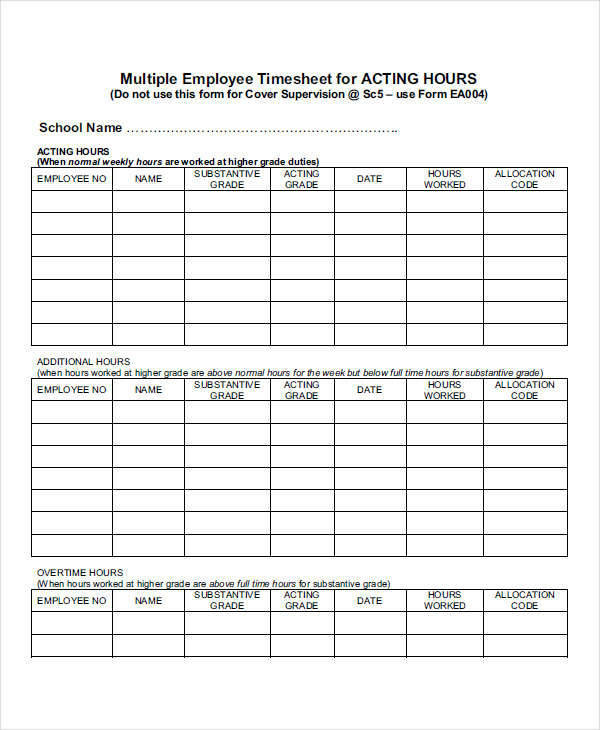 This would ensure that employees have a standard time management system that they need to follow. 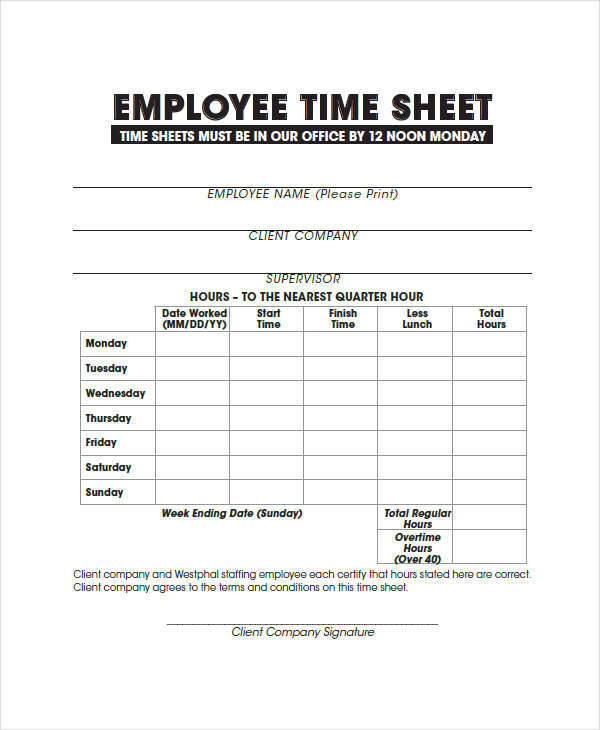 This is intended to increase the employees’ overall productivity by managing the amount of time they need to follow during their work schedule. 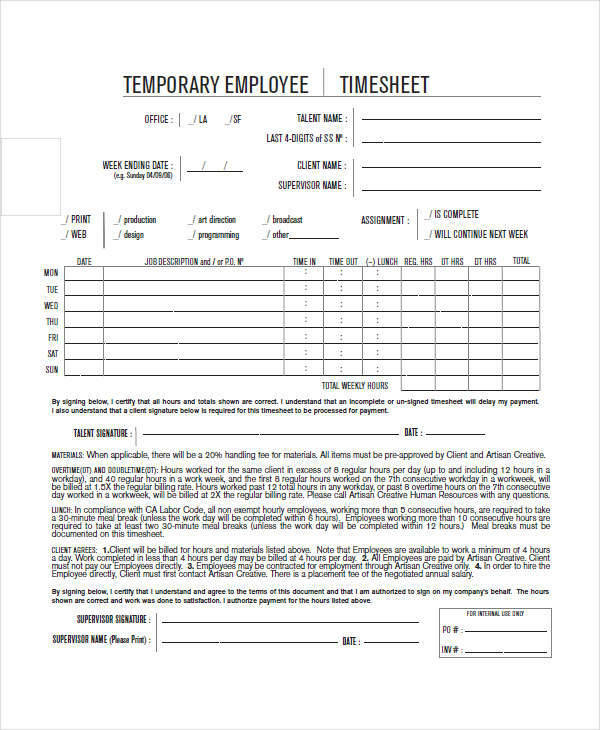 These forms usually take some getting used to, especially for new employees, due to the fact that they would most likely forget to log into the timesheet if not reminded. 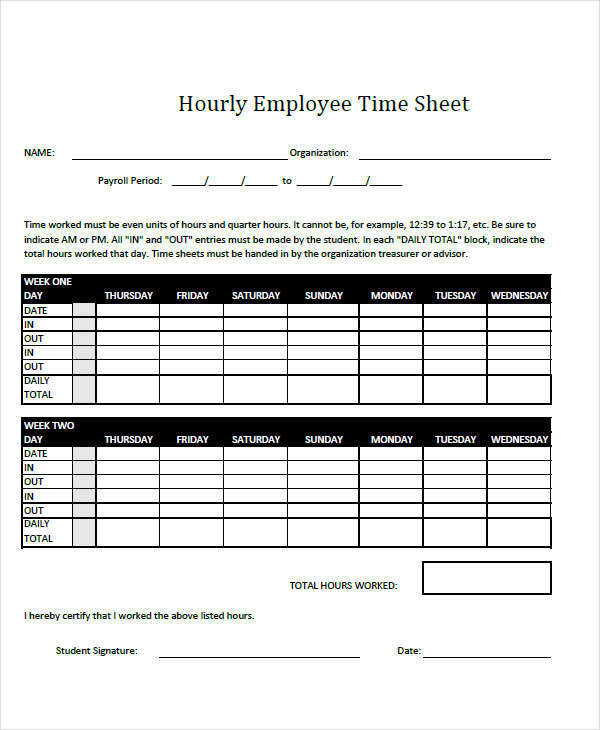 However, there are means of ensuring employees get used to this concept through employers assigning individuals the task of timekeeping. 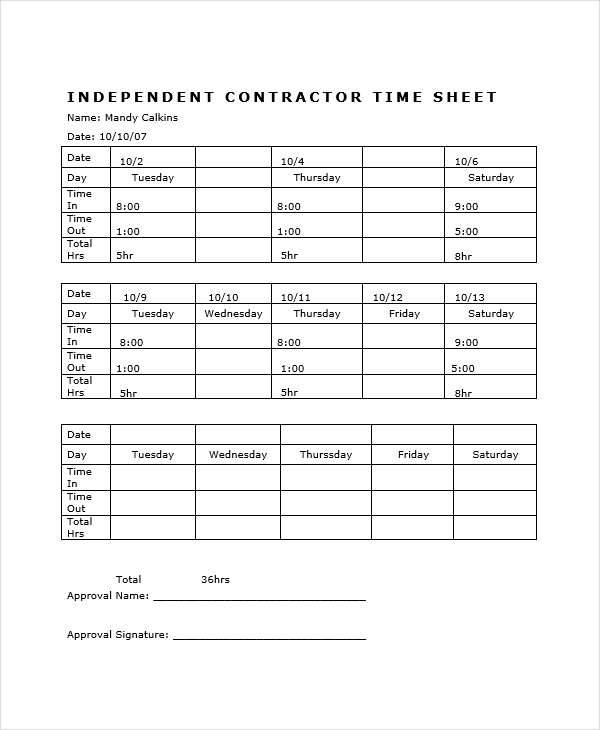 A good example of a timesheet would be a contractor timesheet with the purpose of ensuring that contractors or temporary employees will attend to their tasks on time and log their number of hours of labor. 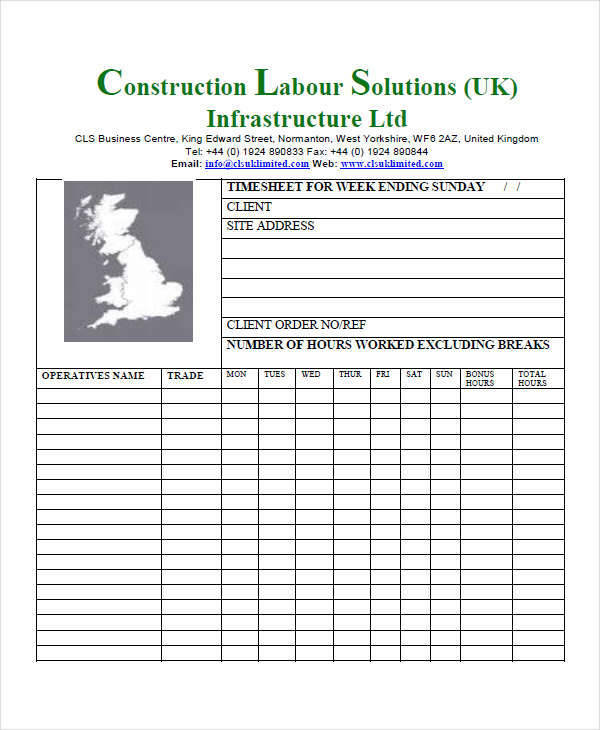 Create a Large Table – This is essentially the main part of an employee timesheet in which the input of data relevant to the time sheet will be placed. 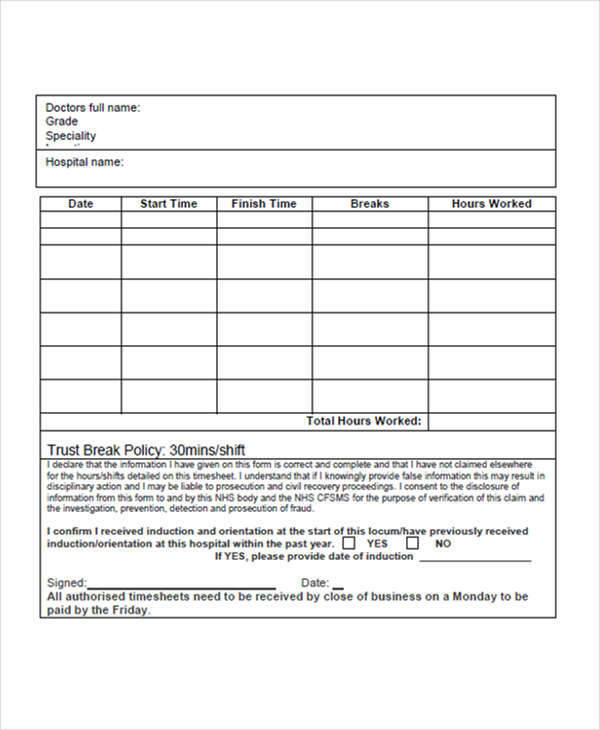 Identify Authorization – This portion is reserved for the officer in charge to sign and authorize the use of this document. 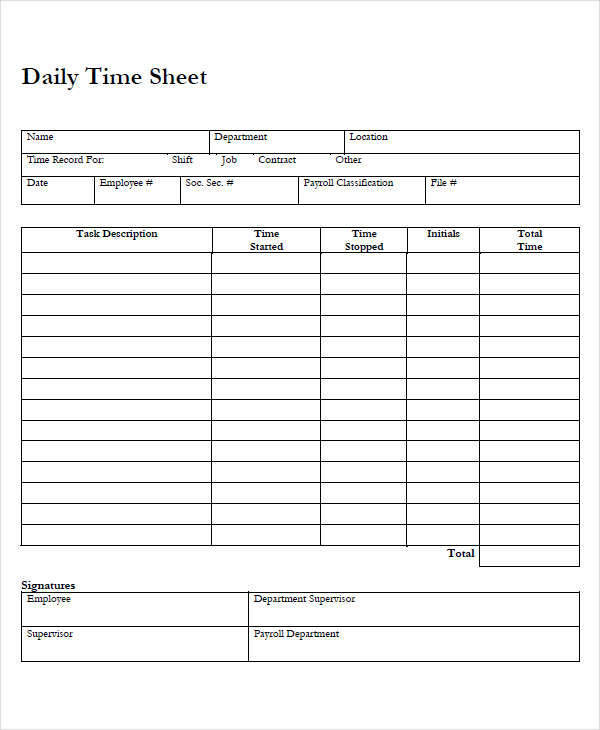 A timesheet is a written document of an employee’s time schedule working for a company. 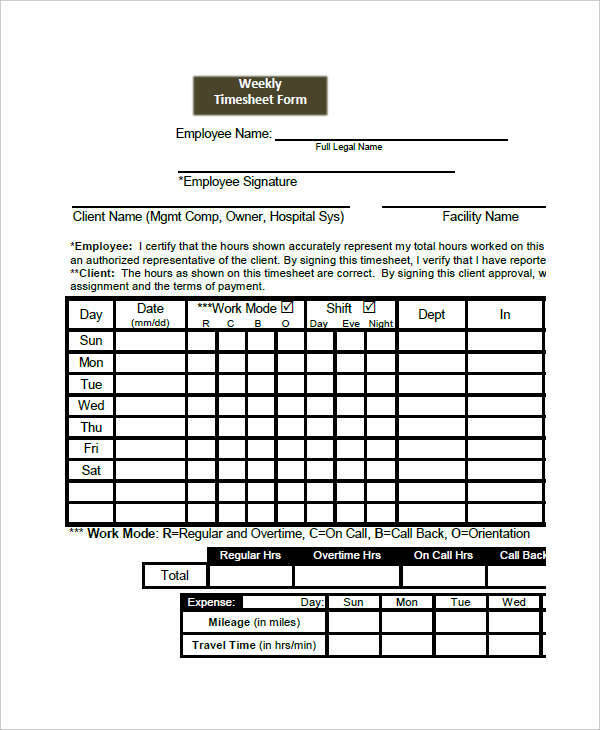 It’s a means of confirming and identifying the employee’s overall work schedule. 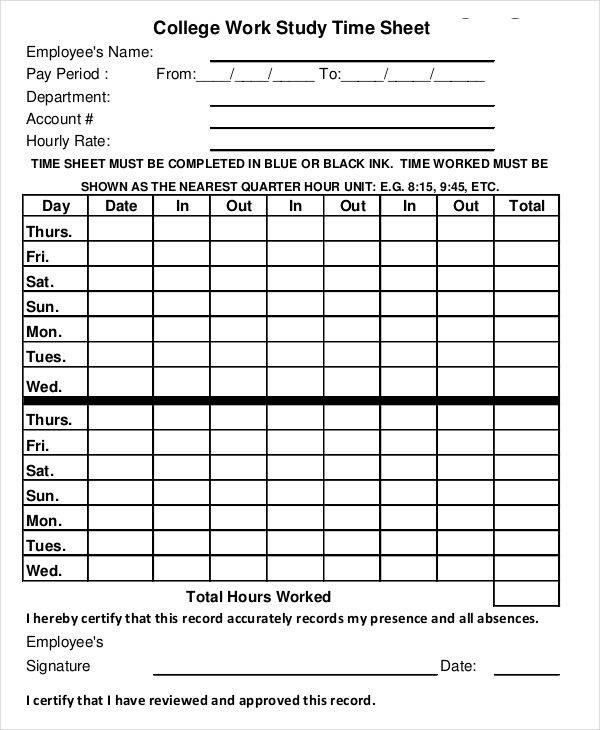 It primarily helps determine if the employee has accomplished the minimum number of hours required for the work schedule. 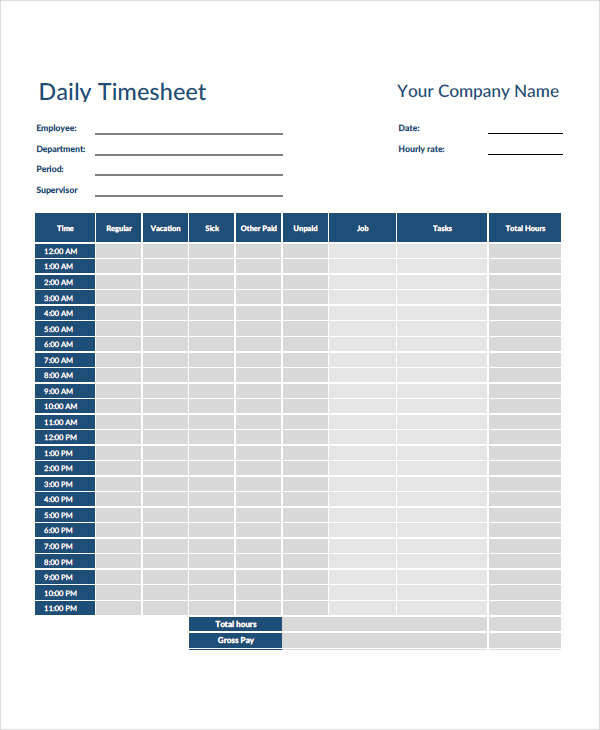 One good example of a timesheet would be our employee timesheet samples that you can download for free. 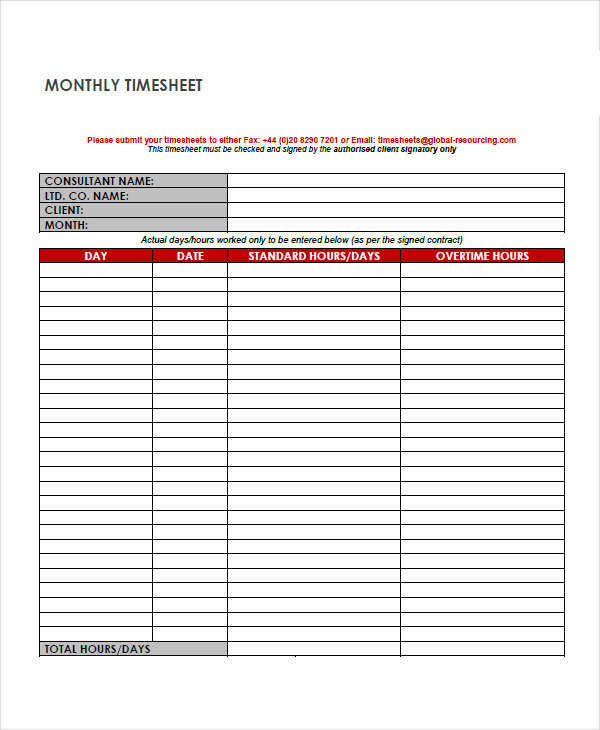 What Is a Payroll Timesheet? 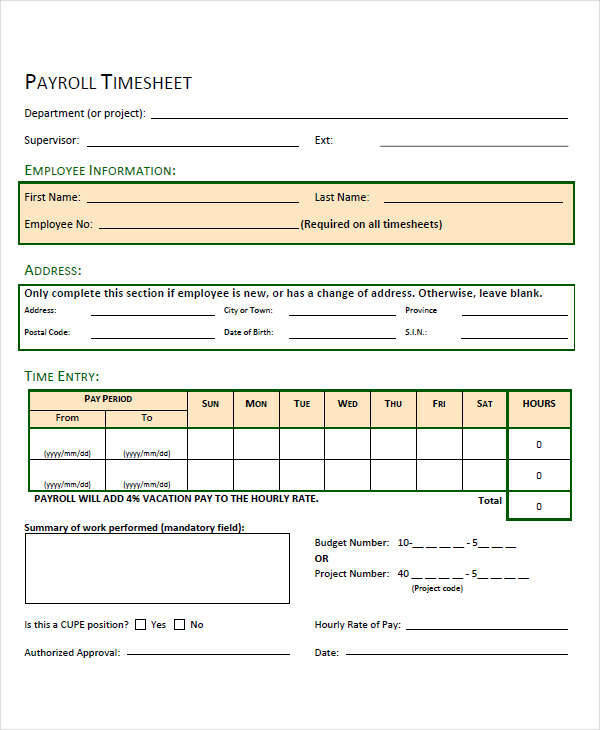 To easily understand what a payroll timesheet is, let us first identify the definition of a payroll. 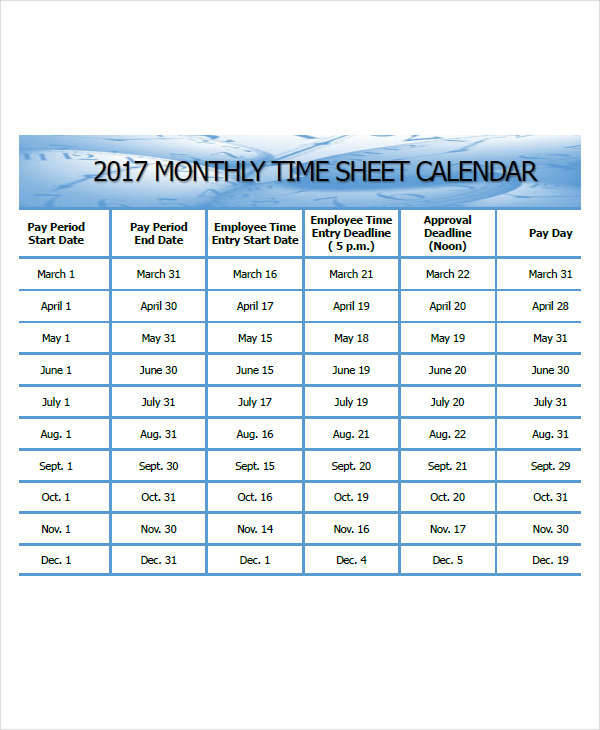 A payroll is essentially another term for an employee’s salary or payment for services rendered for the company. 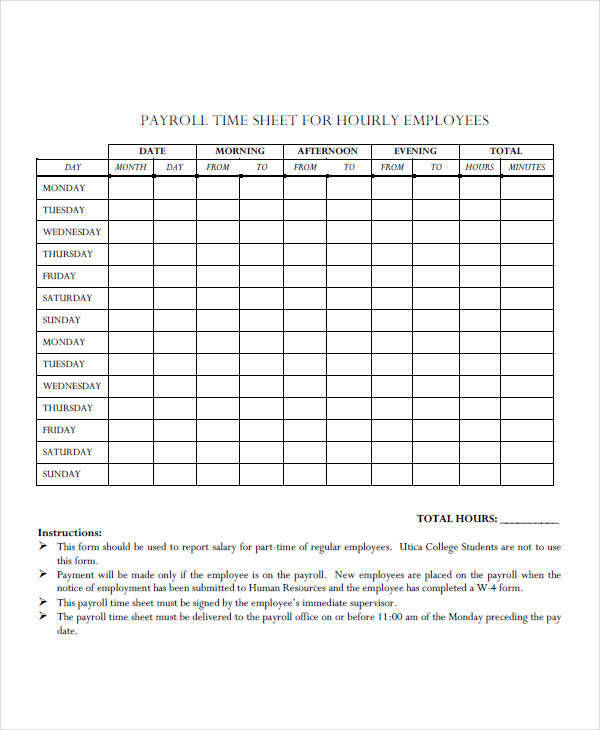 A payroll timesheet, meanwhile, is the scheduled payment of an employee’s salary, paid on a weekly or monthly basis. 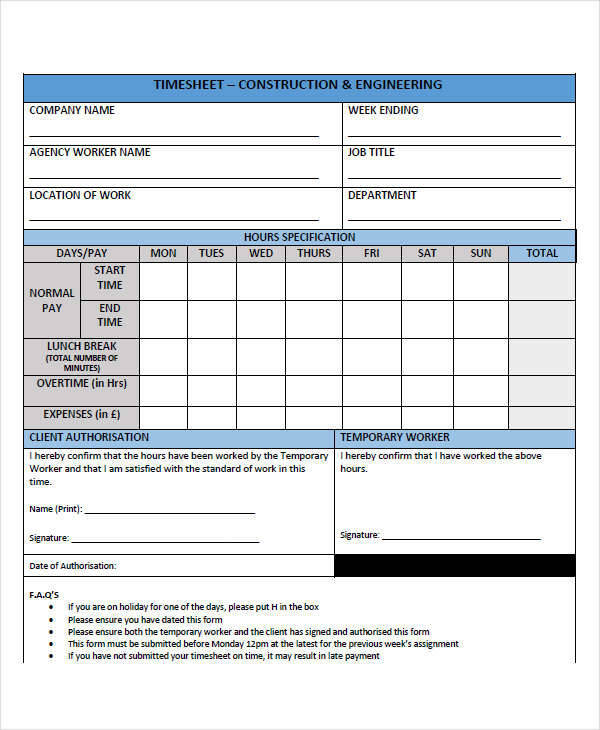 Please check out more on our site for timesheet templates, such as monthly timesheet samples, that are free to edit and download to your own specifications. 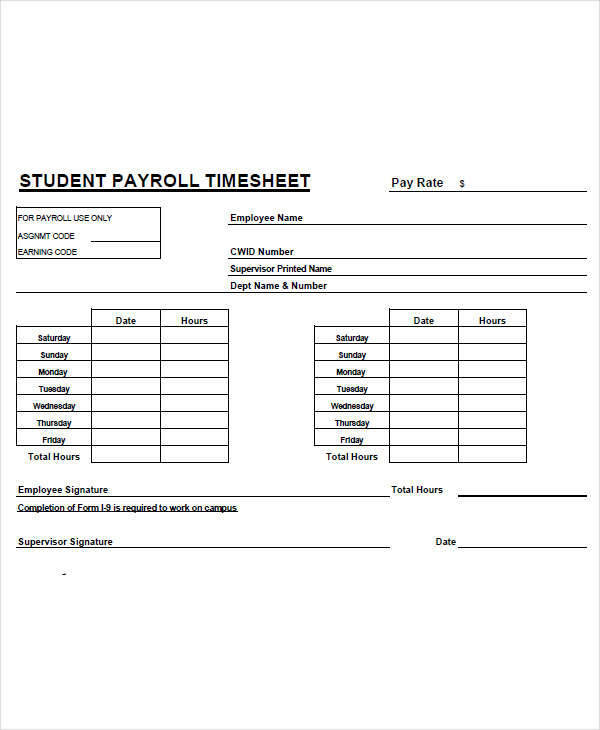 What Is the Meaning of a Payroll Company? 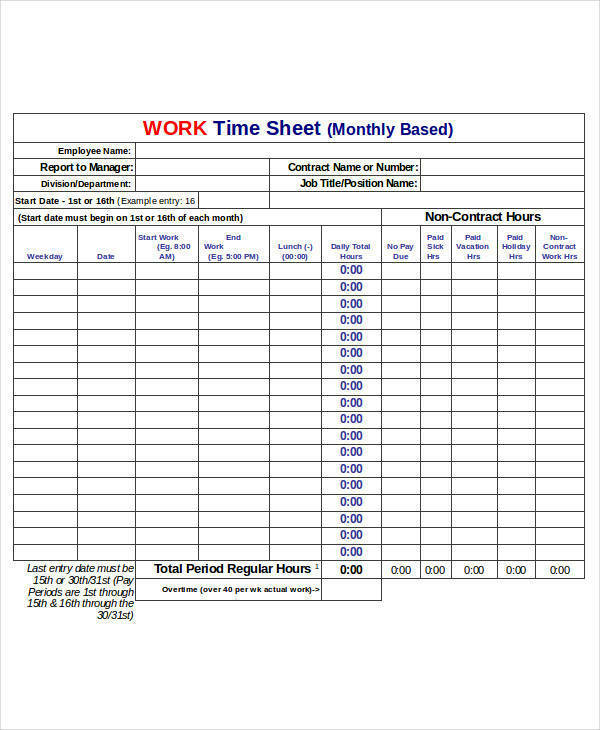 A payroll company is basically a company in charge of designing usable and workable payroll timesheets that employers can use for their employee payroll needs. 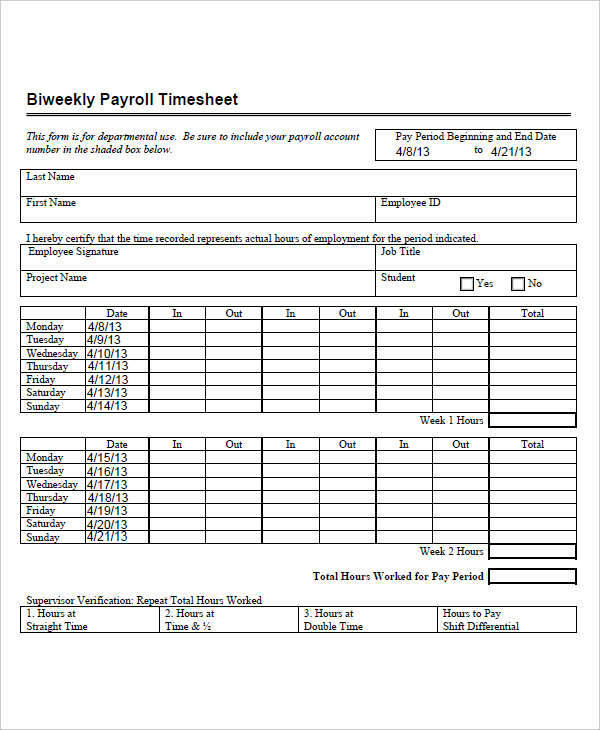 Payroll companies design payroll software systems for every company’s payroll solutions. 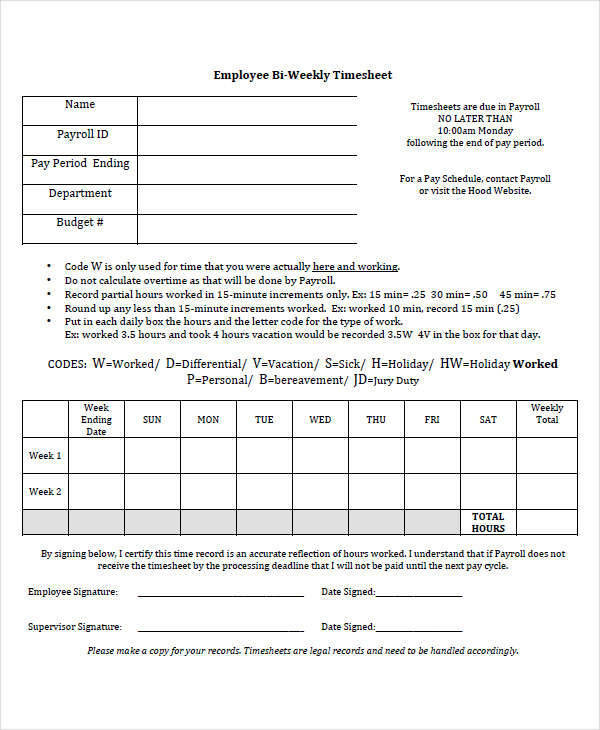 This type of company can help employers keep track of their payments to their employees for their services rendered. 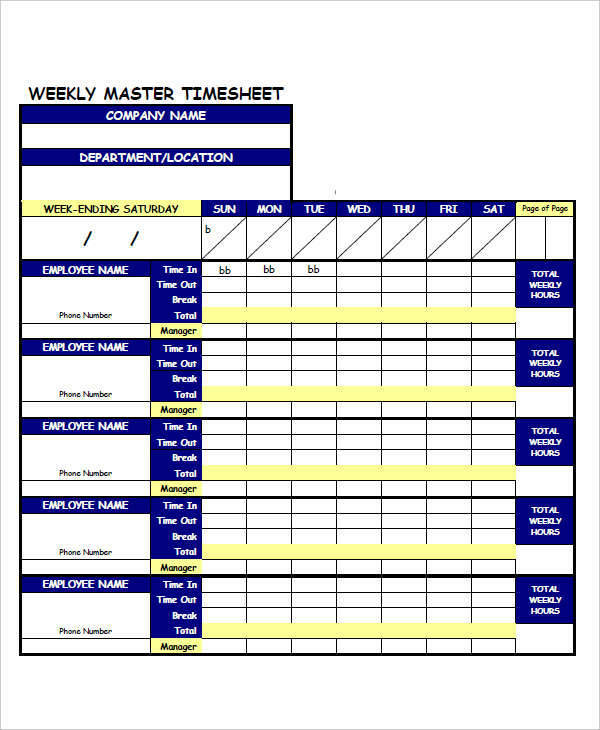 A timesheet management can be classified as a means of monitoring and improving the timesheet system within a company. 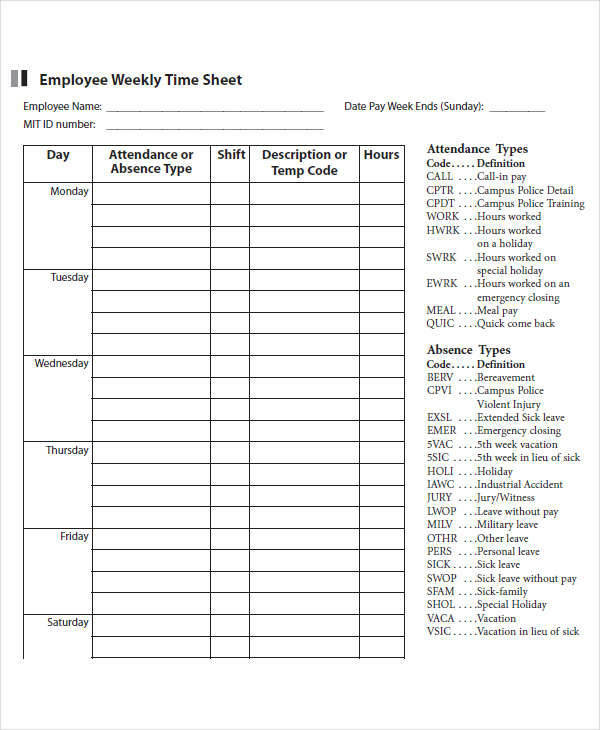 It can be used as a means of constantly updating an employee’s worksheet intended to create less hassle when employees update their time schedules. 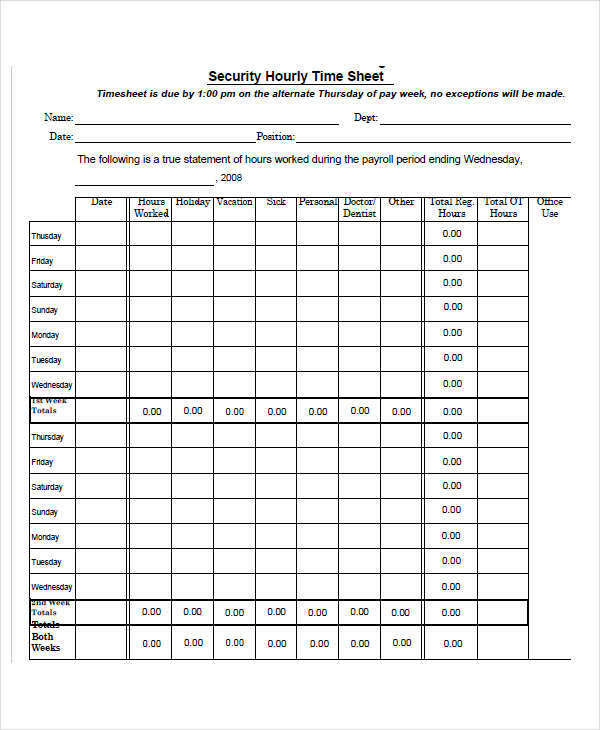 In some ways, this could be classified as a log, in which the transactions itself will also be written within the timesheet. 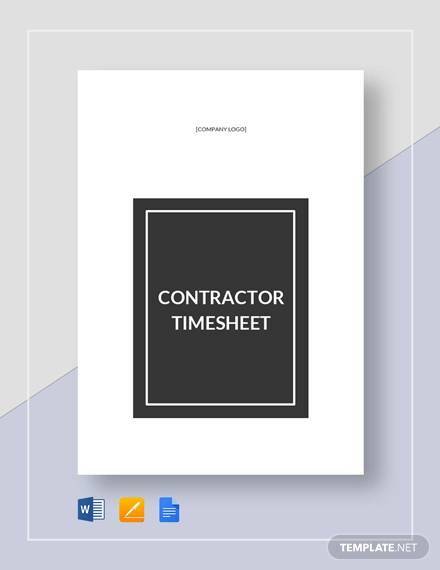 You can also check out our consultant timesheet samples that are free for downloading and can be edited or modified to user specifics. 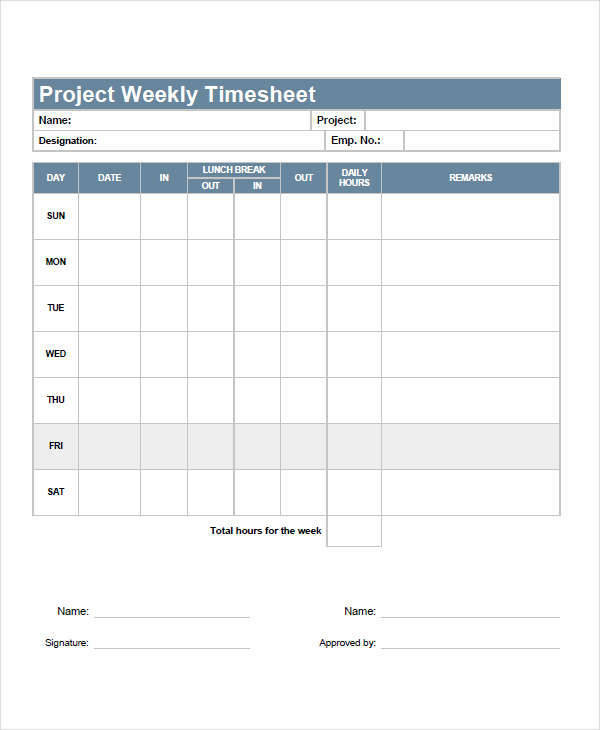 How Do You Make a Timesheet in Excel? 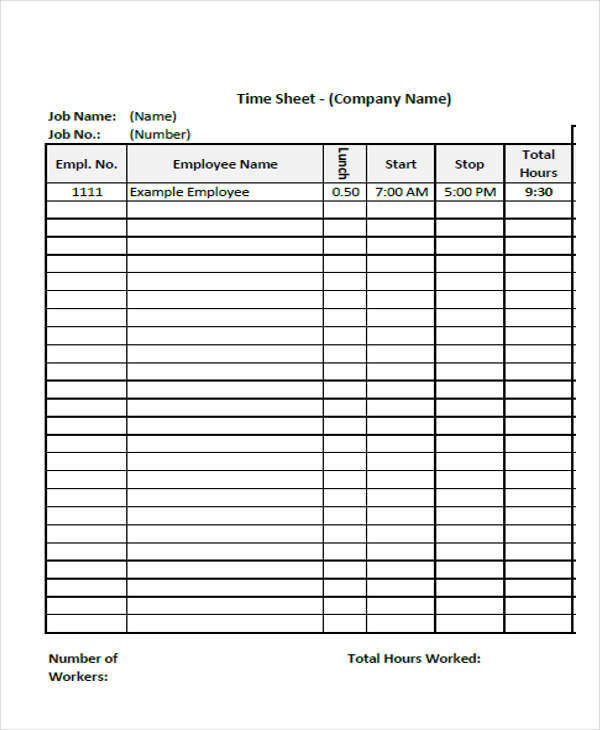 Select a large number of rows and columns you will use for the body of the timesheet. 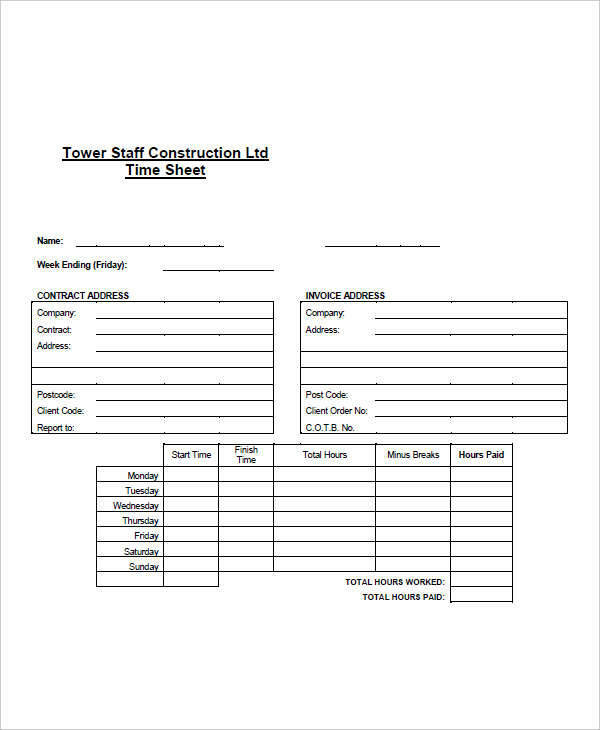 Create larger boxes for the purpose of inputting information about the person involved with the timesheet. 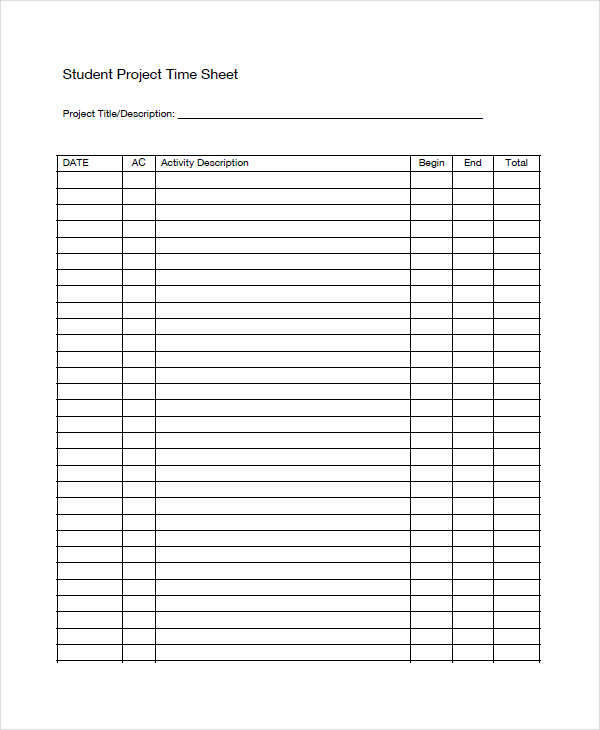 Use the top most part of the table for inputting variables like the date, time of day, total hours, etc. 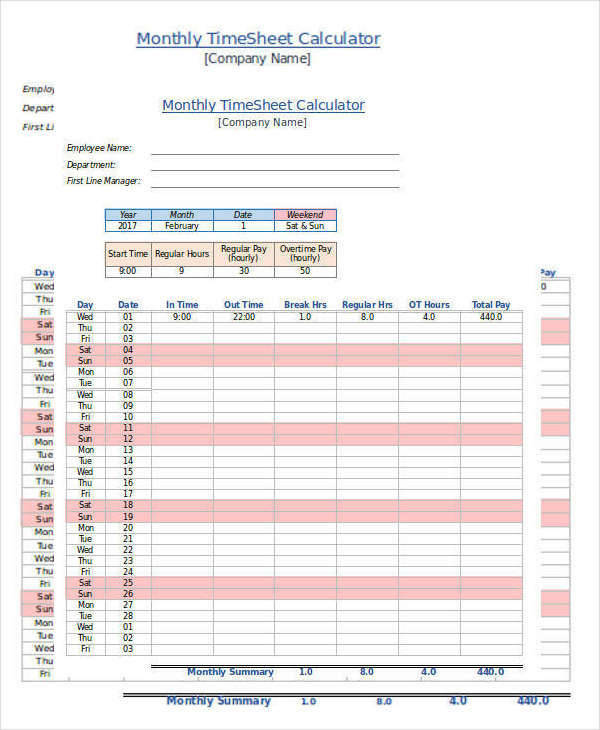 Use the left most portion to indicate the days (Monday, Tuesday, Wednesday, Thursday, Friday, Saturday, and Sunday) and the number of days (example: May 17 Wednesday). 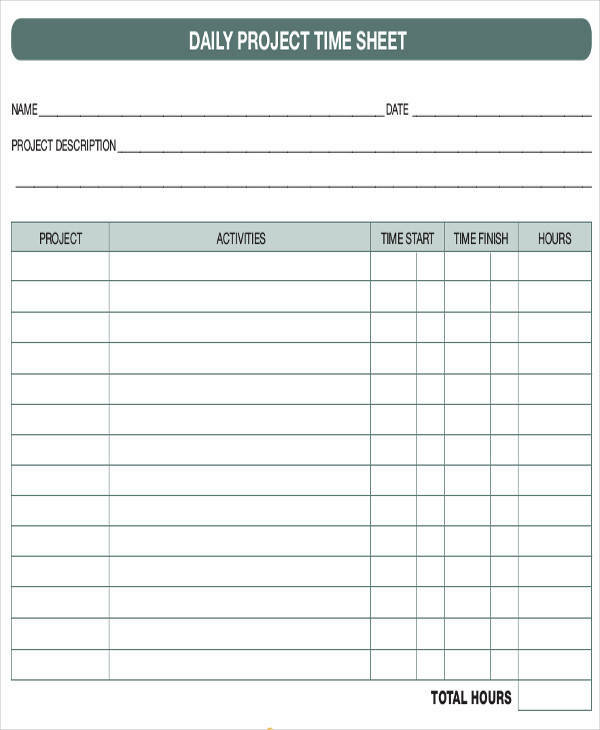 Don’t be afraid to add extras to the form like quotes of inspirations, reminders, etc. 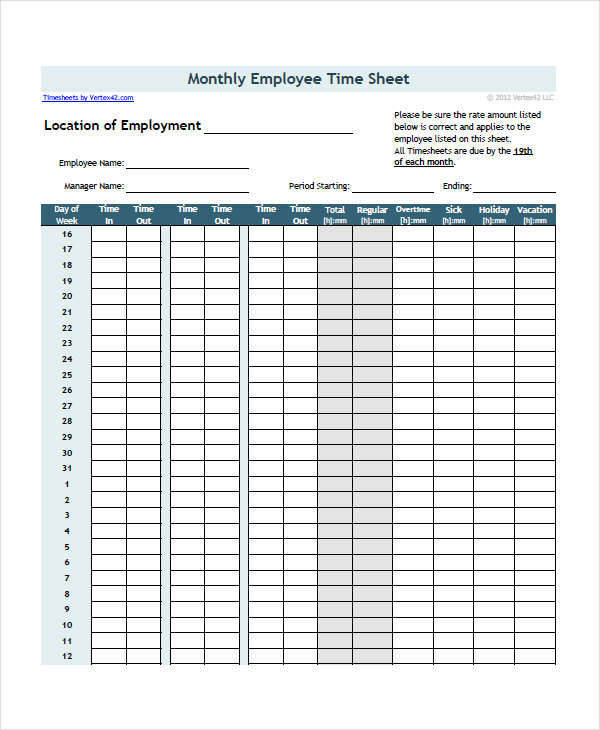 Timesheets are a great way to keep track of employees’ progress. 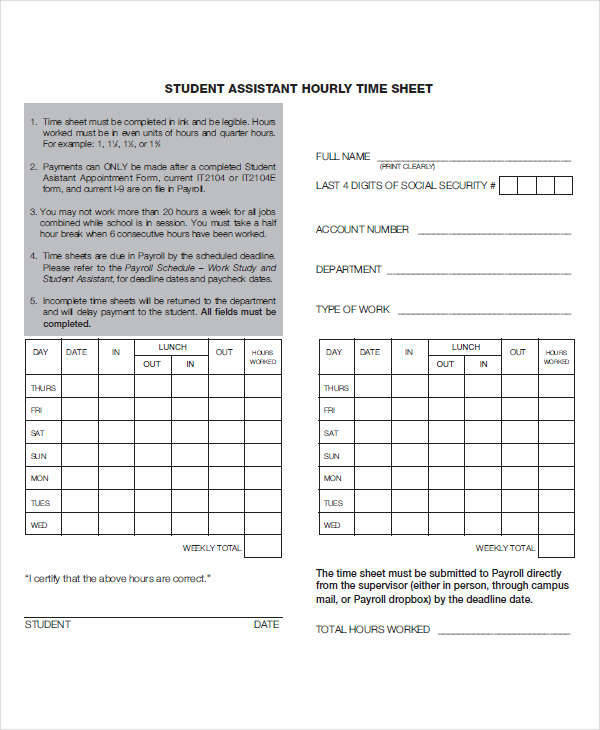 They can be used as a means to make validations and indicate the hours of work as accurately as possible. 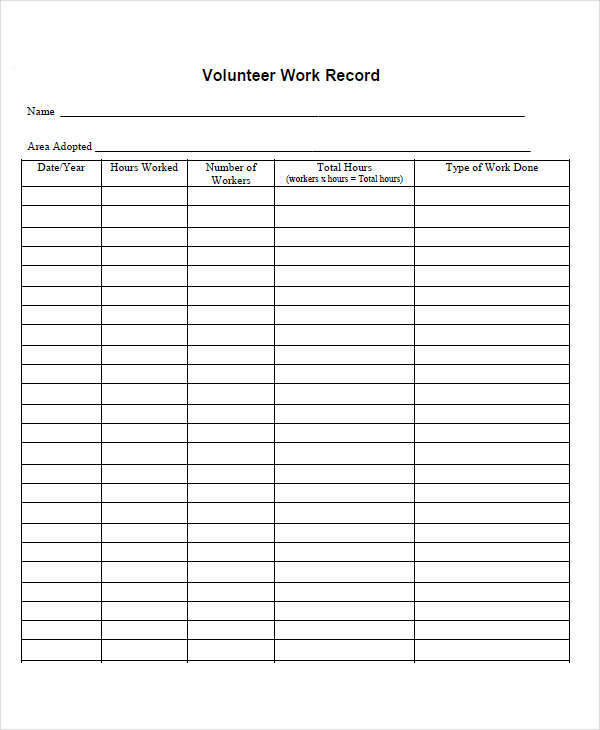 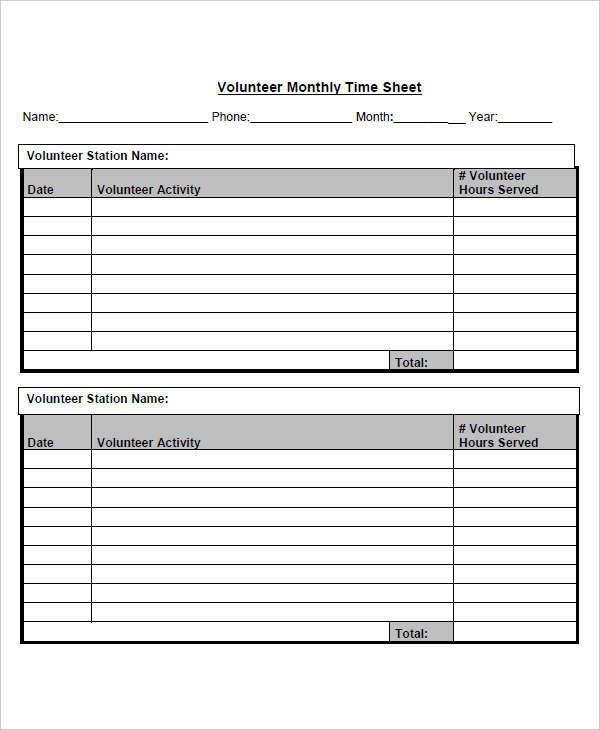 For those who are working in workshops and organizations on a voluntary basis, we also have volunteer timesheet samples intended to indicate the number of hours you put in work. 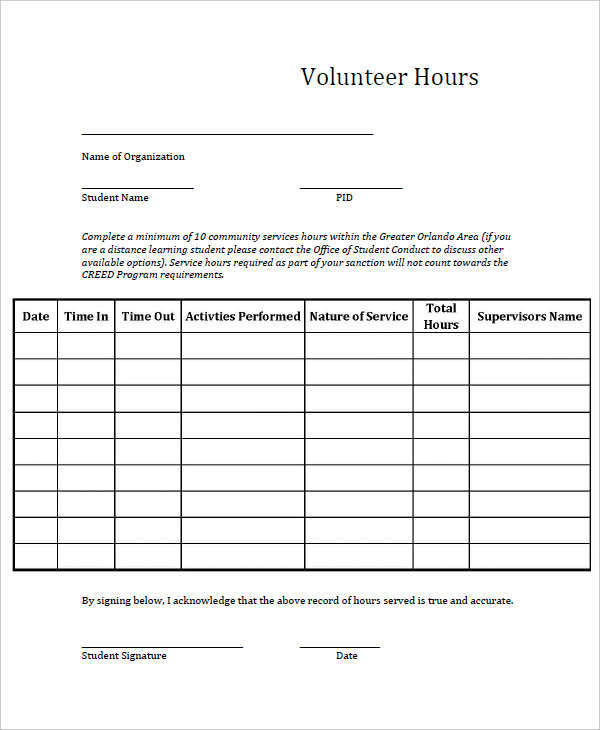 These may be used to credit the hours needed for your volunteer work and can be downloaded and edited to your own specifications. 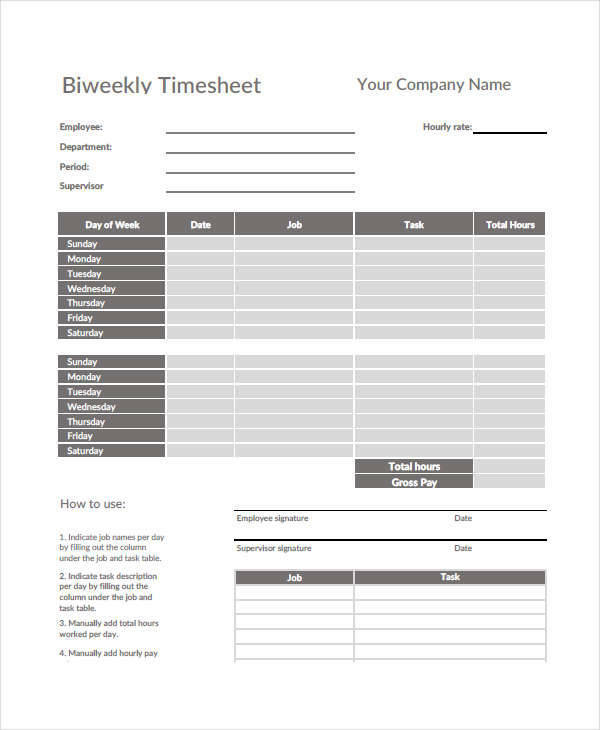 With all the information about timesheets explained here, you are now ready to make your own. 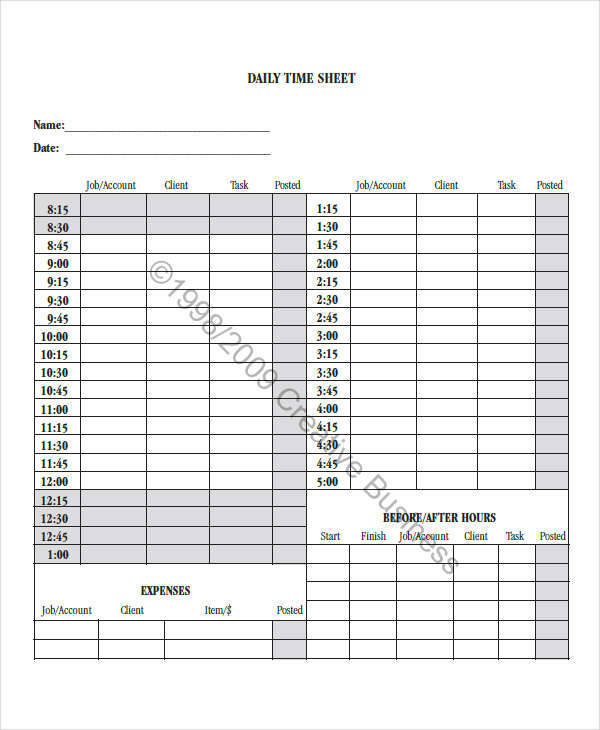 But if it’s too taxing for you to make one, then you can use the ready-made timesheet templates that we have. 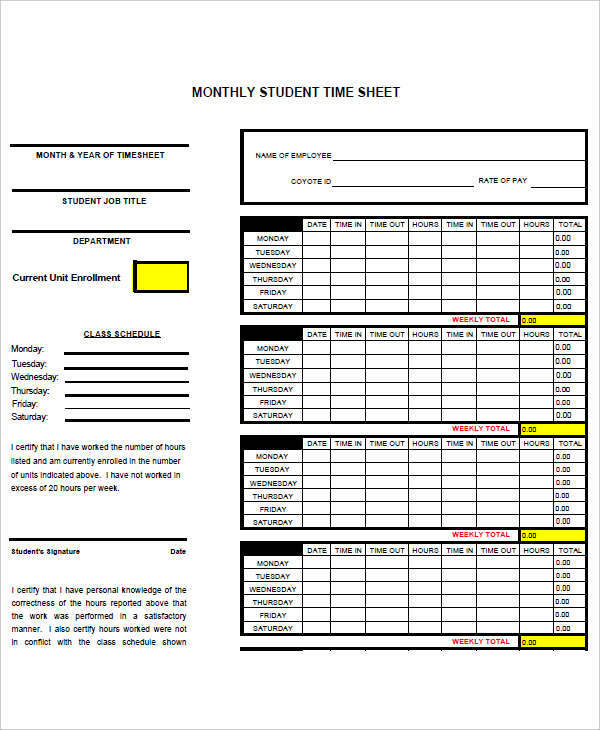 Just choose one that best suits your needs and download. 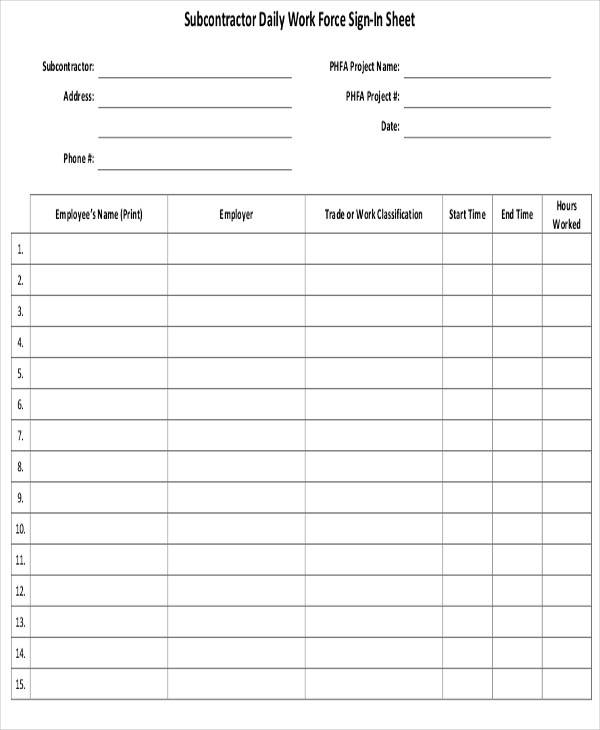 Our samples our also editable should you need to adjust them to your specifications.